We have recently reposted our piece about ‘empty-nesting’ and the anxiety of parents as their children head off to University and college for the first time. This time of year can be tough for the whole family, and it is important for everyone to acknowledge the emotional and physical stress involved in this new phase of family life. So – today we focus on those young people taking what might be their first steps to independence. Along with the natural excitement of organising accommodation, buying any equipment and books necessary and packing carefully, there is also a natural level of anxiety – it is the body’s natural reaction to the anticipation of the unknown.Will I like my course? Will I make friends? Will I have enough money? 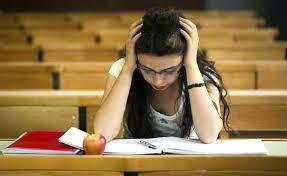 It may not feel like it but everyone has these concerns, even the most confident prospective student. It is a time when you need to take your mate’s bravado with a pinch of salt – inside they will have their own worries, guaranteed. But sometimes anxiety can become overwhelming. You may find you have work to do before you even start your course. There will be the expectations of parents and teachers and of course, the importance of your course to your future hopes and ambitions. This is the time to notice your body, and any physical symptoms that you may experience that can be attributed to this anxiety. You may not even see them coming, as they gradually creep up on you. Sometimes these symptoms can actually affect your life on a day-to-day basis. Panic attacks, when you feel you can’t breathe, that your heart is pounding, that you will be sick and that you need to run, or are rooted to the spot can stop you doing those things you would normally enjoy for fear of breaking down in front of friends, or being unable to cope in stressful situations. First of all, don’t be too hard on yourself – moving home for anyone is difficult and for you it will mean new town, new people, and new responsibilities. If you find anxiety levels rising try to remember that they won’t last forever – as you settle in to your new life the initial worries will fade to the background. Day-to-day worries will come and go, that is life. But if you can maintain some control over your life – especially when it comes to things like money, alcohol, getting exercise and eating healthily – you will find things easier to cope with. Secondly, remember to talk about how you are feeling. This isn’t always easy, but if you can open up you will find you are not alone and hiding your feelings can simply store up more trouble for later. 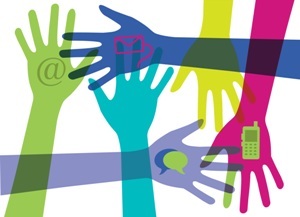 There is always support available at University or college. Student Support, the local GP, your lecturers and tutors…they are all trained to watch out for signs that their students are experiencing difficulties. And of course your parents and family at home need to know how you really feel. Don’t be afraid to approach someone. The longer you leave it the more cut off and hopeless you might feel. To find out more about anxiety, stress and depression see the NHS website HERE. If you are reluctant to take that first step, you can approach someone anonymously – there is help at the end of a telephone. Call Samaritans, or Mind for example. Non-judgemental, they will listen and support you. Alternatively there is a great service that has been set up specially to support students. It is called Nightline and if your University or college is linked up there will be someone to help you. See their website at http://nightline.ac.uk/ . They have a useful list of other contacts HERE. Remember – this is an exciting time, one that can be the very best time of your life. But you need to take care of yourself and always be certain that there is someone who can help you if you are struggling. Also, see The Terrace website for details of the skilled therapists who work with us to support young people and their families. It is that time of year again. Autumn, when many of our children fledge, leaving their homes to start a life apart from their parents at college or university. They will experience all sorts of new things; challenges aplenty and excitement, as well as the inevitable hangovers. But what about the parents and carers they leave behind? Their lives go on, on the surface at least the same as before, but there will be something missing…. 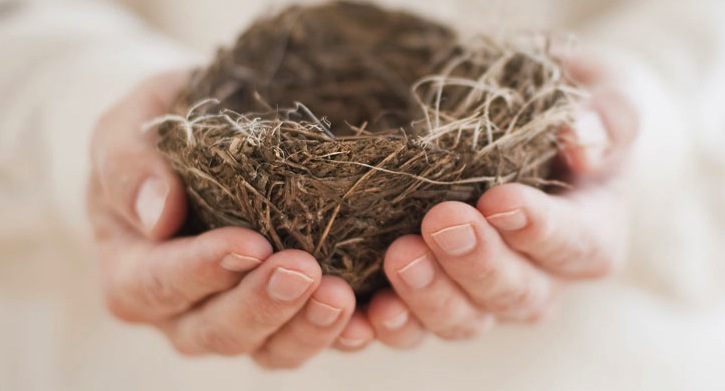 ‘Empty Nest Syndrome’ can be defined as ‘feelings of depression, sadness, and even grief experienced by parents and caregivers after children come of age and leave their childhood homes.’ (Psychology Today). It is an inevitable step that we want our youngsters to take but that does not always help. For women, other life changes are often happening at the same time – the menopause can itself cause depression and feelings of loss so the lowering of mood is exacerbated and they may re-evaluate their relationship with a spouse or partner. Women are now likely to be working, rather than staying at home with a nurturing role, but that does not always help. Men are not immune, as they too feel a loss. Even the knowledge that many young people return home for financial reasons doesn’t offer solace, as they come home changed, more independent and with the potential to cause greater friction in a household no longer run to suit their needs. So is there anything we can do to avoid the grief at the gap the fledging of our children leaves in our lives? The answer is, of course, ‘yes’, but we must acknowledge first that it requires some effort from everyone involved. In this post we will look at how to make the step itself easier, and in the next post we will start looking forward and noticing how we can appreciate the benefits without losing that bond with our offspring. Firstly, make the whole event something of an adventure. Acknowledge that the young person may be nervous and the parents worried, but that doesn’t mean the preparation can’t be fun. Shopping trips, preparing meals, washing, budgeting – all can involve the young person in those weeks up to the leaving date. There may not always be enthusiasm for the tasks, but having at least a rudimentary knowledge of how to look after themselves will help a child in the first weeks way and offer a crumb of comfort to a parent. Then, if a child is unhappy at first, do not make it too easy to run home. This is a tough one, as secretly (and we have to admit this) many of us might be pleased to feel our child needs us again. But what they need is our support and encouragement, to know that they have our love; not the feeling that they needn’t try to manage for themselves. Home is always there for them, but not as a base to escape from responsibilities they have taken on. Finally, recognise that you might feel teary and low, but if depression starts to affect your day-to-day living you should seek professional help, or at the very least open up to friends about how you are feeling. Similarly, you might also have to admit to feeling a little envy at the new opportunities opening up to your child, who may be posting lots of excited Facebook updates, making new mates and seemingly having the time of their lives away from home. So next time, we will offer a few tips on how to make sure it is not only the kids who can take on a new stage in life and have a great time! Well today was the day for thousands of young people waiting for GCSE results, last week it was A and AS level results. Both can make or break ambitions for further education or training places. It can be a time of euphoria or despair and whatever the outcome it is important to take care of yourself, your friends and in a parent’s case, your children’s health and well-being. Firstly, make sure you talk about your feelings, to friends, parents, carers. We have heard the tragic story of Robin Williams this week, an incredibly and naturally funny man who many never realised suffered terribly from the depression that caused him to take his own life. Lots of young people will not like to show their disappointment; will put on a brave face. If you know someone like this, encourage them to open up. It isn’t easy, but neither is it easy to admit you are struggling when those around you are celebrating your success. Just try to notice who may be missing…. If your results do not enable you to take your first choice place, consider your response carefully and know that this is a setback, not the end of the world. There are so many options available now and schools have counsellors available to help you through the maze of possibilities – one of which may not have previously occurred to you. Just because all your mates have gone to Uni it doesn’t mean you have to, but if you want to go through clearing don’t assume you won’t get onto a ‘good’ course. Many of the top universities still have places available, but don’t rush onto a course that may not be right for you. Perhaps an unplanned gap year will help you make a decision? If you have done well and are planning a celebration, watch your alcohol intake. It may seem boring but at times like this people can make the wrong choices, placing themselves in danger just as their future seems so bright. There are many other ways to help yourselves and those you care about and if you or anyone you know needs support go to www.youngminds.org.uk, www.mind.org.uk or www.time-to-change.org.uk for example. Take care of yourself. You have a long life ahead of you in which to achieve all manner of wonderful things. Whatever today has brought, it is just the beginning…. As you may know, here at the Terrace we are keen to highlight the issue of Female Genital Mutilation (FGM) and campaign for the banning of the practice, to save so many girls and young women from lifelong pain and enduring health issues. So we were pleased to hear that Prime Minister David Cameron, talking at a global summit hosted by the UK and by UNICEF, called for FGM (and childhood marriage) to be ended within a generation. Now we need to see real action. The BBC News website reporting on the summit offers some vital facts and highlights the many issues facing young women at risk in the coming years if FGM continues. 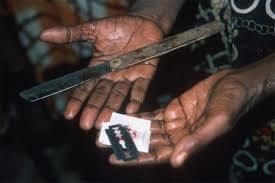 This is despite growing global calls for the eradication of the procedure and the news that, in Britain at least, failure to report FGM (FGM has been illegal here for a number of years) will in itself become a criminal offence. Do take a look and join us in calling for this child abuse (for that is what it is) to stop.